The informative and compelling non-fiction title offers authentic writing styles. 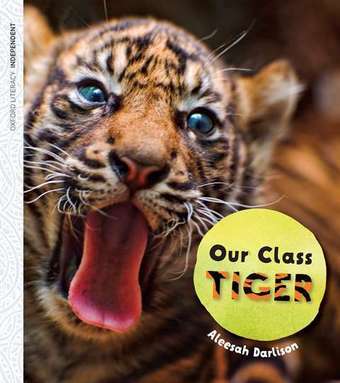 Our Class Tiger includes traditional non-fiction text types and features, as well as quirky topics and content that provide a child-friendly way to learn. Stunning photography. Informative illustrations and diagrams. Authentic, child-friendly contexts for teaching reading. ‘Our Class Tiger’ is the joint winner of the Environment Award for Children’s Literature 2015 (non fiction) and the inaugural Puggle Children’s Choice Award 2015.